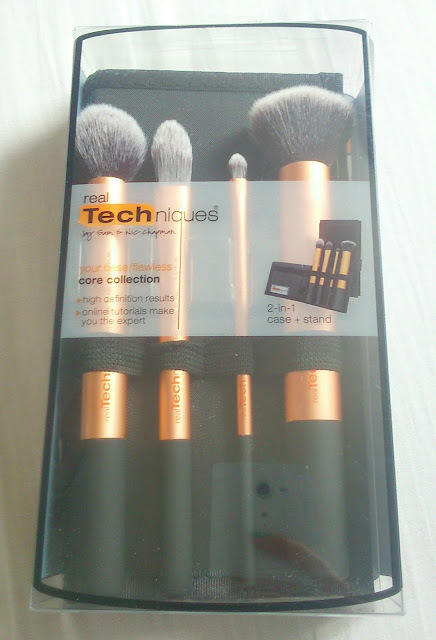 I've finally taken the plunge and bought some Real Techniques brushes! 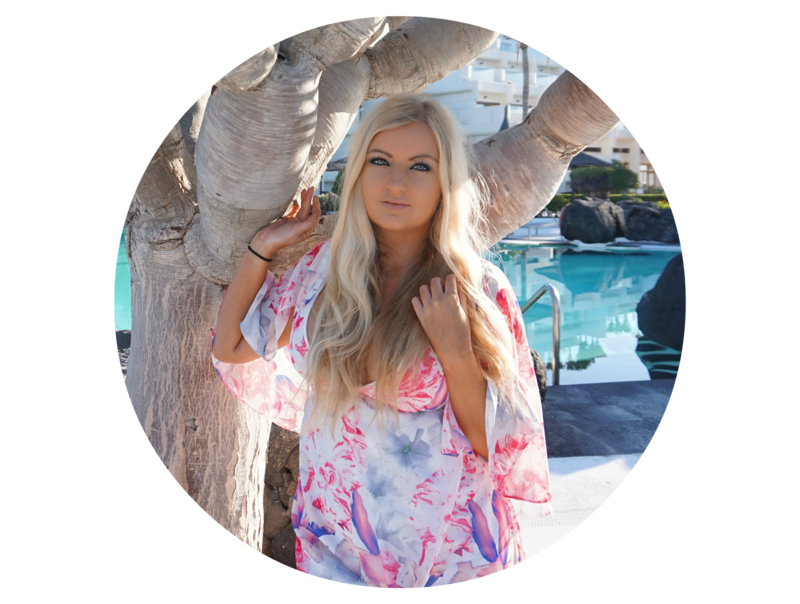 I've worked with Sam and Nic Chapman previously (see post here) and know what amazing make-up artists they are so if the brushes work for them, and the rest of you beautiful bloggers, then I had to try them out myself too! Currently on a mission to find the combination to a perfect complexion, I knew the core collection was going to be the first on my list. I have to say I'm really impressed. 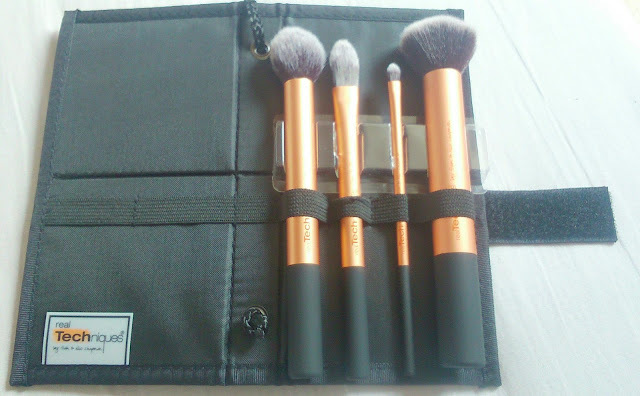 I love the case which doubles as a stand, particularly as my brushes get ruined easily in my make-up bag. I already use a flat foundation brush so I'm not sure I'll use that one but I've been using the other three every day! I've seen so many people using the stippling brush but for some reason I've never believed the hype. I have to say, I've used it for a couple of days now and I've incredible! My foundation is suddenly going on so much better, smoother and looks a lot more flawless. I'm so impressed I don't know why it took me so long to buy it! Holy Grail product without a doubt!!! I have recently picked up my first couple of Real Techniques purchases! I got the sponge (which doesn't work too well with my new foundation) and the retractable lip brush I cannot wait to try. I keep looking at the core collection - it looks so good! 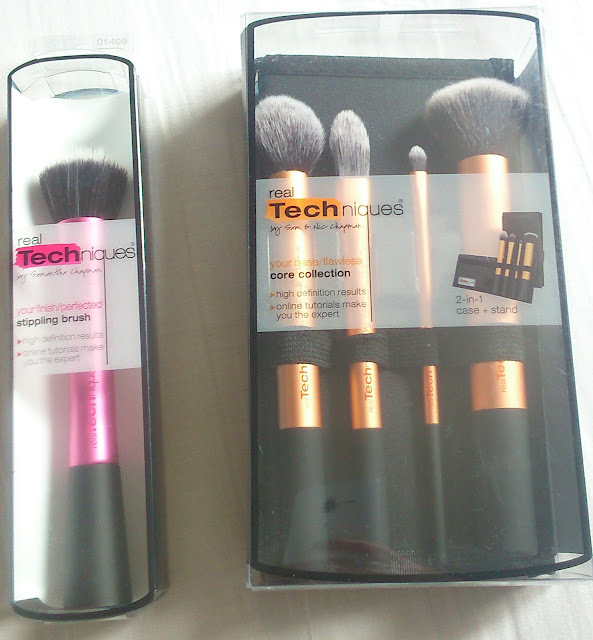 I was thinking about getting these too for a while, I'm in need of some new brushes!